Today the need to look good and presentable has become all the more important and this attitude is not limited to people who are in the public eye like celebrities in the film industry and other entertainment industry. People in all fields today prefer to look modern and trendy and that is why the work of the hair stylist has become all the more important. The growing demand for a hair stylist has resulted in a number of people option to be one and today there are many different kinds of hair stylists who are make a livelihood either by joining up with a beauty parlor or to an individual or operating as a freelancer. It is understood that more than 50% of the hair stylists and hair dressers operate as freelancers as it gives them the flexibility that they need for their work and also because it gives them the opportunity to work for people whom they choose. Hair dressing is a profession that needs a lot of inherent creativity. Hair styling is also an art, which must be learned and imbibed through years of training and the by learning the art. 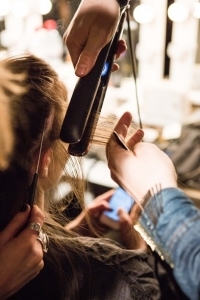 This is very important as a lot of technical details go into the styling of the hair. Each individual has a different kind of hair and the volume of hair also differs from person to person. So the hair stylist needs to undergo the training to understand and identify what type of styling would suit the person keeping the person face, looks and the quantity and quality of hair in mind. Hair styling is an avenue through which you can give vent to your creativity and it is more beneficial as your creativity makes other people feel happy and good about how they look. If you do not want to be bound to a fixed timing job, this is a good way to make a livelihood as today the earnings of a hair stylist has gone way beyond than what it used to be. There is no monotony in the job as each person you serve requires something new and unique from you. So you can feel different and get rid of the monotony of most jobs. With a few years of apprenticeship, you are enabled to branch out on your own, making you your own boss. You can set up a small business of a hair styling salon or a beauty shop on your own. Today courses are available giving your creativity the needed guidance to make it into a technique. Courses are conducted by experts in the field or by institutions that conduct training in different aspects of grooming.